On Friday, Aug. 17, the New Meadowlands closes its first season while still in transition over the next few years, with over $1.4-million in purses. The New Jersey Sires Stakes finals for freshmen, the William Haughton Memorial, the Golden Girls, the Moni Maker and the Miss Versatility make up the closing card. We’ll cover Pennsylvania Sires Stakes (PASS) from the Meadows and New York Sires Stakes (NYSS) from Tioga Downs, both on Friday, then head to Canada for Saturday’s Grand Circuit action, as well as the Charlotttetown Cup & Saucer (along with its special-event miles) and Super Stakes Sunday at Harrah’s Philadelphia, where Hambletonian-winner Market Share faces Little Brown Fox and Googoo Gaagaa for the first time since fighting to get to the August classic. The Hambletonian Society again works with us and TwinSpires to launch the Breeders Crown Countdown, following main events from prospective entries from all eight divisions as they head for the series of classic events, scheduled to be presented again this year on a single card at Woodbine. Check the blog often for updates on great betting opportunities that don’t appear in the regular TwinSpires blog. Super Stakes Sunday at Harrah’s Philadelphia presents sophomores of the first order, starting with the filly pacers in the $350,000 Valley Forge. Season-leader American Jewel, who has recently given in to Major Look to tighten the division’s competition, is here and has to deal with that one as well as six others that threaten to make this race a big deal, including a filly named Big McDeal. Danger from the outside looms in the form of Handsoffmycookie, who has been a scourge in New York-bred affairs and returns to face the big gals. Major Look is the hot one, though, and she will get plenty of action. The Takter gals, “Jewel” and Romantic Moment, should take second choice status, while the outsiders are worth a look. They are Economy Terror and Destiny’s Chance. Both, on their best days, could defeat the chalk, and should be overlays here. Watch for “Terror” to put in a big mile at a larger-than-usual-for-her price. This may set up for the kind of late kick that she uses with style. In the $500,000 Colonial, some of the Hambletonian group meets again, this time with Little Brown Fox and Googoo Gaagaa. The former broke in his elim and missed the big dance and the latter was not eligible, having a sire that is a pacer. So where does that leave Hambo-champ Market Share, no less Hambo favorite Uncle Peter? In our opinion it leaves them all at the mercy of Little Brown Fox, arguably the best in this division when trotting straight. A price? You be the judge. Lastly, the $500,000 Battle of the Brandywine tests glamour-boy pacers, who have been steaming up the track with fractions that have handed opportunities to those following closely behind them (Bolt The Duer in the Adios, for instance) . Here, though, A Rocknroll Dance may grind it out and be rated enough to win once he takes control. He should have a fast pace to allow him a catapult move that out-speeds the speed (Sweet Lou on the outside should be gunning early and Hurrikane Kingcole is showing signs of being out of control when it comes to his quick feet). On the final Meadowlands program, the $191,500 Moni Maker attracts top soph-filly trotters like Personal Style and Maven. After being contested at The Red Mile, then the Meadows, the Meadowlands now hosts this race where fillies fight to rebound from the Hambletonian Oaks. Maven is practically unbeatable against this bunch. Unless she falls into the same situation as she did in the “Oaks,” where she galloped behind Check Me Out in a bizarre trip twist, she should get a perfect trip. Since she is the best, we will key her and aim for exotics. There are two elements are Personal Style and Delicious. Before her Oaks stunner, Personal Style seemed to be improving. Against this bunch she should get a second-over trip and pull off the same move she did in the Oaks and without Check Me Out to chase, she is Maven’s worst enemy. Delicious has been an underdog in this division. Slowly improving by competing against the second tier of filly trotters, she may have hit her peak. She finished second to Check Me Out in a recent effort in the PASS. Here, she should get a good pocket trip instead of taking the lead and have enough left to make an exacta and triple appearance. Put On A Show returns to the Big M after her stunning performance in the Lady Liberty and looks to put on another stunning performance in the $218,850 Golden Girls. But we’ll take our chances with Rebeka Bayama. She seemed like a one-time threat in the Lady Liberty, where she had a good showing but she proved that was not a fluke by beating most of this field in an Invitational last week. She should get the right trip from the outside and defeat these. Next, the older pacing guys go in the $431,400 William Haughton Memorial. Golden Receiver certainly made a name for himself in this division as he defeated most of this bunch consistently throughout the year. This week, he competes against most of the horses he beat in the U.S. Pacing Championship two weeks ago. With the speed in this race, however, Meirs Hanover may get an advantage. He is generally a pocket-sitting horse, which he displayed in the U.S. Pacing Championship, finishing a good third. After a few failed attempts against the top of his class, he should finally get the trip he needs to unleash the beast within him. The third leg of the Miss Versatility makes its stop at the Big M and Cedar Dove is there, coming off of a win in the Ima Lula. Also coming out of that race with a great performance is Panthalops. She went up against this grpin before and broke in leg two. This week, she should get a pocket trip and have the capability to defeat Cedar Dove. NJSS finals are also on the closing program. These are for the froshes of both sexes on both gaits and are each labeled with $150,000. The trotting colts are first, with Corky the huge favorite. In the elim we liked the one who followed him, Deadliest Catch, and vote for him as the upset candidate here, though he will offer less money than his second-place finish. Filly trotters line up next and we are all over Miss Steele, though we don’t expect her to be overlooked by the public. She comes out of the Merrie Annabelle suffering from a tough trip and appears in a powerful spot to win. Filly pacers follow and Sweetheart-winner Jerseylicious could offer a decent price here, as post 8 could turn some bettors off, as well as they may favor Authorize from the rail. The colt pacers knock heads for top state honors and it appears that Troon may escape favorite status, offering a good price, especially since he has been made 12-1 in the morning line. The Empire State features several divisions of the New York Sires Stakes at Tioga Downs for two-year-old colt pacers on Friday. Deny Deny Deny is the likely favorite in the first division. With all the speed in this race, Artist Night can close on them late. From post 7 at Yonkers last time he was second over, then was hung into the stretch and finished third. He gets post relief this week and should get a perfect trip and close to win. From the outside, Swift As A Shadow is the likely favorite in another split but Track Master D should improve tremendously this week. He closed well last time from post 6 at Yonkers. He also gets post relief this week and should get his first victory in his third start. Two horses have a great chance in the final division, Tijuana Party and Sir Cary’s Z Tam. Tijuana Party can sit in the pocket or take the lead. He goes up against similar this week and will either steal it or come up the passing lane late. Sir Cary’s Z Tam is also a pocket-sitter but this week he did not get the luck of the draw. He should get away mid-pack and get a second-over trip to close late. 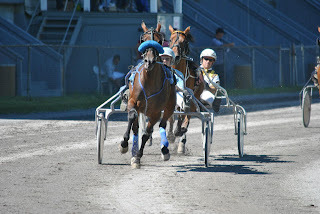 At The Meadows on Friday there is PASS action for big money offered to frosh-filly trotters. In the first division, Coffeecake Hanover is the likely betting choice. But Sina got the luck of draw and should race well this week. She drew post 8 last time against this division and gets post 1 this week. She should get a better trip this week and pull of the upset. True Valentine headlines the second division looking for four wins in a row. Ruffleshaveridges will be hugely overlooked in this division. Back on July 18, she beat Coffeecake Hanover at the Meadows in a PASS outing. As long as she doesn’t break, which was very odd when she did on the third of August, she should win at a great price. Our choice is Classic Martine in the third division. She is a big speed horse but is not faster than Royal Assets. So, we see Classic Martine getting a pocket trip and perhaps getting by Royal Assets to win. We have two strong contenders in the final division, Morningstar and Money And Me. Morningstar raced against the best in the Merrie Annabelle two weeks ago but did not fair well, although, she has done fairly well on the PASS circuit and should be able to rebound this week. Money And Me can race from either mid-pack or from the top. Either way, she should come home in the top three. Freshmen season is well in hand and as the Grand Circuit settles at Mohawk for a bit, beginning Aug. 18, offering Nassagaweya Stakes, a staple for the colt-pacer division this time of year, and divisions of the Eternal Camnation for fillies. In the first split, worth $108,125, Slight Touch may show the speed of his sire, Badlands Hanover, and go from gate to wire. He may be the lone speed, so to speak, in this field and be able to command the fractions early to make him impossible to catch. The second split, worth as much as the first, features the awesome Captaintreacherous, the son of Somebeachsomewhere that has raised eyebrows since he debuted. This could be a key for exotics because it is near impossible to try to beat him here. Lock into the other speed, Cool Like That, who may be able to sit behind the beast and take the place. The closing Nassagaweya could go a few ways but Mach Me Bad may take advantage of some dueling, expected from the three outside post starters, and close the gap late. 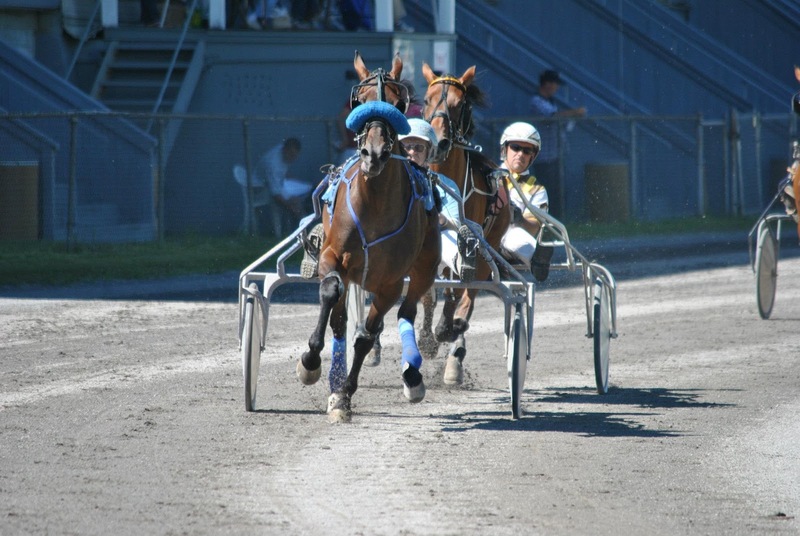 Charlottetown Driving Park’s biggest program takes place on Saturday, Aug. 18, with the $60,000 Sobey’s Gold Cup & Saucer Final. We suggest strong contenders in the host of special events from that program. The Erwin Andrew Memorial Mares Trot could go to longshot Berto Coquette. She is in a good spot to start and find a spot for a perfect-trip win. In the Alpine Claiming Series Final, watch for a big wire-to-wire attempt from Hey Jean at the rail; she may leave to lead and command the fractions. The Normal MacPhail Pace may belong to Md Hardlys Success as an overlay third choice. With the probable favorite on the outside, a fair price for this one from post 3 should be expected. The Pacemaker Pace may not offer a big price on Aled Hanover but it is hard to look beyond this one, who is geared and aimed at this event and may dominate it. The Joe O’Brien Memorial for soph colt pacers demands a chance be taken with Astronomical Union. This is a competitive field and the money won’t be spread as it should, giving this one a shot at a good price. In the main event, the Sobey’s Gold Cup & Saucer, it is hard to believe that Mystician will only be a second choice. He has experience that is beyond most of that handled by these and from post 5 he is in better shape than main foes Eighteen and Stonebridge Terror. He is the choice.